* You are viewing the archive for January, 2008. View the rest of the archives. You thought they couldn’t get dumber. DouglasJanuary 21, 2008Etiquette, Specific Companies Comments Off on You thought they couldn’t get dumber. Nine-year-old Shea O’Gorman sends a letter to Apple CEO Steve Jobs suggesting ideas for improving her beloved iPod Nano, including adding onscreen lyrics so people can sing along. She gets back a letter from Apple’s legal counsel stating that the company doesn’t accept unsolicited ideas and telling her not to send in any more suggestions. I can see why this made it to the list. I can also see why this got a lot of media attention. And unfortunately, I can see Apple why did what they did. However, despite the potential legal issues, I think this deserves to be a dumb moment. The reason this was a dumb moment was because Apple took a standard policy and overdid it. I’ve talked about the importance of flexible company policies before (and so have others). When company policies are not flexible, they will eventually backfire. Apple’s policy about rejecting unsolicited ideas is not flexible. They send angry letters to nine-year-olds who love their products and take time to write letters asking for new features because it’s inflexible. As a company, sometimes you need to take that very small risk of a nine-year-old secretly trying to get a Fortune 500 company to copy her ideas so she can sue to be human. Being human is probably worth that small risk. I like lawyers and they are often very useful. However, with all due respect to lawyers, most lawyers can’t run most companies. They are programmed (and paid) to be protective and assume the worse. They are programmed (and paid) to minimize risk and protect their clients. These are great traits for a lawyer, but often bad traits for someone designing a policy for a consumer electronics company. Thanks to AllBusiness CS for this pointing out. 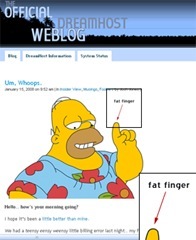 DreamHost is a web hosting company that has been around for a while. The privately owned, California-based company is well known for generous space and bandwidth allocations, relatively good web hosting services, and for a laid back attitude. This week, though, has probably been one of the toughest weeks in the company’s history. On Tuesday, the company’s billing system messed up (due to human error) and billed thousands of customers when their accounts weren’t even due. The amounts charged totaled in the millions of dollars and the charges caused some customers’ checks to bounce, debit cards to be stopped, etc. A lot of accounts were also shut down for non-payment when a payment wasn’t actually due for another year. In short, the entire issue was a big mess. In addition to the mess and tremendous hassle of all of those billing errors, the real thing that DreamHost didn’t do as well as they should have (and what got all the media coverage) was the way they initially responded to the situation. They posted a ridiculously informal blog post (titled Um, Whoops) saying the issue was caused by a fat finger and essentially dismissing the seriousness of the whole situation. By the book, the content of DreamHost’s first post was appropriate. They what happened, why it happened, explained what was going to happened, explained why it wouldn’t happen again, and offered to provide help for any problems. The content was fine, but the tone was inappropriate and uncalled for. As the media coverage continued, DreamHost realized they messed up and posted another blog post the next day. This post was what they should have done the first time. It was genuine, informative, and serious. The company offered some additional options and courses of actions for frustrated customers (including letting people back out of contracts early and receive a pro-rated refund). DreamHost explained some major modifications in their billing system and provided a much needed update. The following day (Thursday now), another update and explanation was posted. It was slightly less formal than Wednesday’s “serious” post, but did not mock the event. More updates and statistics were provided and the issue is now basically resolved. DreamHost did a good job in the sense that they quickly realized their mistakes and acted to fix them (both technically and with their communication). They provided frequent and honest updates. And from what they say, they got the actual problems sorted out pretty quickly. DreamHost will hopefully have employees reach out to frustrated customers and media sources over the coming weeks, but I’m not sure this will happen. I don’t think the company has a PR department and I don’t think they have any sort of blogger or customer outreach program. If they don’t, now is a good time to get one. This issue is something that will haunt the company for a long time and will cost them a lot of money. They’ve learned a valuable lesson. I’m pretty confident they won’t be making the same mistake again. 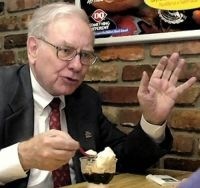 Warren Buffet understands the importance of valuing your company’s reputation. 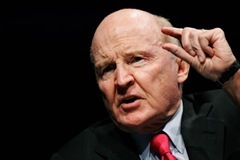 Jack Welch obviously understands the importance of giving people autonomy and rewarding them for good work. GE is an interesting business. It functions more like a holding company with a brand than as a centralized, traditional company. The company is known for its divisions that sell everything from trains to jet engines to dishwashers. In an organization that large and diverse, you have to give your people autonomy or they won’t be able to do their jobs well. It is impossible to manage and keep track of everything that goes on across the entire company. In customer service, if you pick the right people and give them the opportunity to succeed, it can work out very well. Motivation and encouragement (either by recognition and/or money) can be really helpful. If those people are motivated to and rewarded for doing well, they will continue to do well. They may even encourage their friends to look into jobs at the company. The important thing that Welch really understands is the importance of letting people grow into their positions and then rewarding them for doing well. That is a pretty simple formula that can work in almost every position in every company. There obviously have to be some limits, but if well executed, the formula can be extremely successful. For more on this subject, see this post about public praise and public shame. What do you think of Welch’s view? Being a customer service representative is a stressful job. There have been plenty of articles, books, and blogs written about just how stressful a CSR job is. However, I feel like I’m going to add my two cents and write about the stress of an average customer service representative. The level of stress as a customer service representative depends entirely on the company an employee works for. I’ve seen representatives that love their jobs as CSRs, but that is because they work for great companies that care about customer service. On the other hand, I’ve seen customer service representatives who hate their jobs. They work for companies that could care less about customer service and care less about them as employees. They put unreasonable controls and policies in place and everyone hates their job. As a result, the employees often give inferior service. As a result of that, the customers get mad and yell at the employees. Everyone gets stressed out and no one is happy. Being a customer service representative at a company that doesn’t usually provide good customer service is stressful because the customers are usually stressed out and angry themselves. The job turns into a viscous, unrelenting cycle of one angry customer after another. Besides the actual angry customers yelling and screaming at the representatives, what are some of the things that can stress a regular customer service representative out? Bad managers. 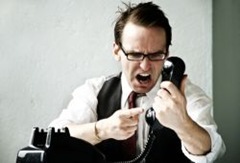 It seems that there is no shortage of terrible call center managers, especially the shift and floor supervisors. Some are really great, but others are terrible. Worse executives. The ultimate blame should be put upon the executives who are setting policies and procedures that are unreasonable and don’t allow for the provision of good service. Call times. The companies that track call times and discourage longer calls are actually working against their customers and subsequently, themselves. Strict procedures. Procedures should serve as guidelines, not scripts or policies that are set in stone. It’s impossible to script and predict everything, so procedures that are inflexible are a waste (and an additional thing to stress employees out). Bad computer systems. Bad computer systems can stress anyone out, especially when your job depends on them. Having to wait for bad computer systems, try to figure out ways around them, etc. can make a job that has the potential to be okay very bad. What are some other things that you think might stress out customer service representatives? Anonymous Cog – are you reading? Warren Buffet is a well known businessman and philanthropist. I admit to not following him that closely, but from what I’ve read, everyone that meets him seems to like him a lot and the business world seems to have a lot of respect for him. From what I know about Buffet, I do have a lot of respect for him and what he’s done. It is really a perfect quote to sum up the role of and the way a company should look at a customer service department in an organization. If you really do look at your company’s reputation this way, giving that $30 refund to the customer won’t be such a big deal. A company’s reputation is critical to its success. Today, when anyone can start a blog or cause a stir about a negative experience with a particular company, it’s even more important. If words gets out about one negative experience (out of tens of thousands annual customer service experiences), it can taint an organization’s reputation for a long time. When you Google “aol customer service,” the page contains lots of links to articles and videos about negative customer service experiences with AOL, including Vincent Ferrari’s well publicized cancellation issue that took place in June 2006. Google “Lexus customer service” and there are links to mostly positive articles and web sites. Warren Buffet’s quote is very true. A reputation is not only priceless, but overreaching to all parts of an organization. If you look at it as such, you’ll really change your overall way of thinking and of doing things. It’s all about perspective. You can look at customer service as a cost center or as a profit center. You can consider employees an asset or you can consider them a hassle. If you can put customer service in the right perspective, it has the potential to work out very well for your company. This interview is a follow up to my review of Punching In by Alex Frankel. You can read the review here. Alex Frankel is a journalist by training, but to write his book, he embarked on a two year journey as a frontline employee at a variety of companies ranging from Apple to UPS. He talked to me about a little bit about his experiences on the front lines. Question: What company surprised you the most? Answer: UPS was the company that surprised me by being a truly vibrant workplace, not the cold sterile factory I had envisioned before I started to work there. I found a strong corporate culture that seemed to flourish from the bottom up, as opposed to top down and people who were incredibly loyal to the company and to their jobs. I approached the project with the misconception that all frontline workplaces (whether Starbucks or The Container Store) were all looking to hire people from a similar talent pool. But what I found, once I started working at these frontline retailers, was that someone working at Starbucks and someone working at Enterprise Rent-A-Car are very different people. And the companies seem to know that they are not drawing from one vast talent pool of people looking for retail jobs generically, but they are hiring specific groups of people who fit their companies. Question: What job did you like the least? Answer: The place where I fit in the least was at Gap where the lack of focus of the larger organization was palpable to even the lowly sales associate that I was. When I walked into the store on day one as a new hire there was nothing tangible I could feel or get excited about. Gap was the worst job I had because there was nothing in the job I had—sales associate—that made me really care about the job or the products we were selling. And because of this it was a boring job. If you are counting the minutes (and the seconds) until your shift is up, you know it’s a bad job. On the other hand, I did feel a sense of excitement working at UPS and this was certainly heightened by the time of year during which I worked, the holiday rush. Question: What do you think made the UPS culture one that you could associate with most personally? Answer: Each of us is hardwired with a set of character traits that we bring with us to any job we hold. For me, those character traits include an interest in being active on the job (running around doing something instead of passively sitting at a desk or behind a counter) and also an interest in being organized and in doing something that, to me, felt worthwhile. Another person might feel more at home at Starbucks serving drinks and waiting on customers; to them that pursuit would no doubt feel more worthwhile than delivering packages. Question: What company had the highest quality employees most consistently? Answer: That’s a difficult thing to judge. The UPS drivers I worked with were the most loyal and by and large, worked for the company the longest. A UPS driver often drives for 10 or 20 years. You rarely see that kind of loyalty in most frontline work environments. Starbucks stood out as a place where staff may have left our store, but they were often headed for another Starbucks in another city as opposed to leaving the company completely. The workers at the Apple Store were a passionate crew and each person had a wealth of knowledge he or she could share with customers. Question: If you could work at any retail company as someone on the front lines, where would you work? Question: Now that you’ve worked on the front lines, what tips would you give to retail and customer service executives? What can they do to ensure that front line employees are happier and deliver better service? Answer: There are many points I could make. One would be to try to sharpen hiring techniques so as to better hire those applicants that are most passionate about a given frontline workplace and are best matched to work therein. Most companies fail to probe the level of an applicant’s true interest in a product or service. Also, companies should do a better job at tapping into the insights generated by the workers on the frontlines. I found few to no ways to pass on the insights I had as a frontline worker. Allowing me to do so would have provided companies with great new insights into customers and also would have made me feel important and as if I was contributing to a larger cause. Question: At any of the companies, did anyone suspect you as a journalist? Answer: No, this never came up. Image courtesy of Alex Frankel. 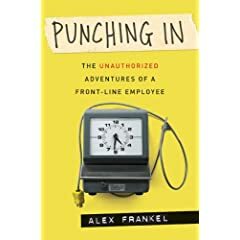 I had my review copy of Alex Frankel’s Punching In: The Unauthorized Adventures of a Front-Line Employee sitting in my bookcase for almost two weeks before I had a chance to read it. When I interviewed the author, Alex Frankel, for my work with Customer Service is the New Marketing (where he is speaking), it renewed my interest in the book and I made some time to read it over the relatively slow holiday season. Punching In recounts Frankel’s experience as a frontline employee at five radically different companies over the course of two years. He starts off as a temporary delivery assistant for the shipping giant UPS and quickly finds himself asking what he can do for Brown instead of what Brown can do for him. He becomes surprisingly absorbed surprisingly fast in the company’s culture. 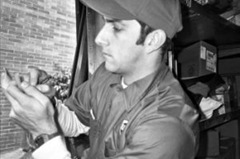 Despite the hard physical work, Frankel finds himself fitting into the role of a genuine UPS deliveryman comfortably and quickly. After UPS, Frankel moves onto an incredibly boring, painfully mind numbing job of essentially folding clothes at Gap. At Gap, he experiences a culture that treats it employees more like potential criminals than future leaders. Frankel makes a sudden turn and starts to work at the unique, career development focused Enterprise Rent-a-Car. During the largely negative experience, Frankel learns about a company that isn’t as true to itself as the company handbook says. The supposedly “authentic” culture at Starbucks is similar and lacks the authenticity that ironically made the brand huge in the 1980’s. 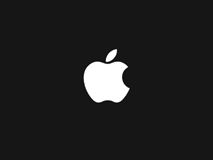 Frankel’s final job is at the laid back, but very cool Apple Store, where because of a laid back, but still rewarding working environment, he has a largely positive experience. Each workplace, as Frankel points out, is unique. There is no one word to describe the five companies or how they treat their respective employees. Each job has its pros and cons, a unique company culture (or lack thereof), and an incredibly varied employee base. Frankel finds himself getting involved, and unexpectedly into, each job he holds not only as an undercover journalist, but as an actual employee. Punching In tells about the front lines in a way that interviews could not. During his journey throughout the commercial front lines, Frankel encounters employees of all shapes, sizes, looks, and skillsets. Most importantly, he meets employees who have radically different views on their respective employers. He meets those employees who have unmatched levels of dedication to and passion for their employers and their products and services they offer. In these employees, he sees the quintessential example of the perfect, highly passionate employee that each company dreams of hiring. Frankel also meets and finds himself working with the polar opposites; disaffected employees who could care less about their job and the company they’re working for. Frankel finds that the only passion these employees have is for the bi-weekly paycheck and often, there isn’t much gratitude for that. Aside from telling of the typical day in the life of a deliveryman, sales representative, or barista, Punching In shares anecdotes and information that will interest any retail or customer service executive. Frankel asks questions and addresses issues that good retail managers and executives should be concerned about. He examines the front lines and concisely points out how that crucial front line translates into the bottomline. While Frankel provides a fairly varied view of what it is like to work in various retail outlets, he mainly works in larger stores in larger cities. Punching In doesn’t go that far into the suburbs or that far into the detailed operations of any of the companies. There is more recounting and telling than there are suggestions for improvement, but it all fits within the scope of what Punching In is trying to do. Punching In examines the overlooked, undervalued part of the American business economy that is the frontline employee. Executives at the top will never fully grasp and understand all of the challenges that those at the bottom face every day, but Punching In provides a firm starting point with a valuable amount of useful insight and information for all employees on all levels of the corporate ladder. Bottomline: Punching In is a worthwhile read for those interested in retail and the importance of front line employees. Pros: Well written and insightful. Unique perspective of the front lines and companies that consumers think they know well. Cons: Lacks “take home” advice that could make the book really useful to those focused on improvement, Frankel mainly works in stores in large cities (which are often different than those in the suburbs). Interested? You can buy the book on Amazon.com for about $16. More on Service Untitled: Interview with author Alex Frankel coming Monday. I’ve talked about the importance (and how to) confirm personal details before. The confirmation of personal details is an important part of any customer service experience. Not all companies deal with sensitive information, so it isn’t a necessary part of the experience for all of them, but for many, it is. A company where it is important to verify personal details is a bank. It wasn’t long ago that I wrote some nice things about Bank of America. I stand by those nice things I said and have actually have some more nice things to say (pretty unordinary for a bank, right?). I had to call Bank of America today for an unrelated issue. Besides the menu being somewhat (not very) simple and being connected almost immediately to a friendly, English speaking representative, the experience was very positive. The 198,000 employee banking behemoth has what seems to be a top of the line phone system that is pretty well designed. As soon as I called the phone number for Bank of America, the phone system came on with the company’s trademark jingle and a calm phone system voice. I was immediately asked to enter in my social security number or tax ID number. I entered mine in and the phone system then said I was calling from an authorized number and that everything was okay. I picked the option I needed to and was connected to the right person. He asked me for my name and then said he had to ask one quick question to verify I was the account holder. He asked for a verbal password. I had no idea what it was, but he explained that it was not a problem and could ask another question. He asked the question, which I answered without too much trouble and my account was all verified. The process was painless and took about 30 seconds. That is a good way to verify an identity. Have the technology do the majority of it. That way, I don’t have to give my social security number to someone I don’t know. It’s important to use technology to help you (Apple did, as I wrote about here) and your company. Kudos to Bank of America for making this usually annoying part of the customer service experience pretty painless.